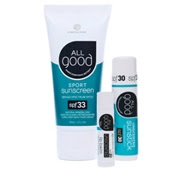 Not all sunscreens are created equal. 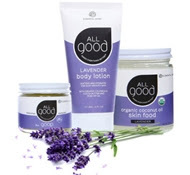 The Ultimate Green Store has a line called “All Good” Sun and Body Care that will not only protect your skin from UV rays but is infused with organic, GMO-free ingredients, using purest ingredients and organic herbs. 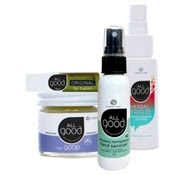 This skincare line offers natural healing products that are good for people and the planet! The coupon code expires August 31, 2016. 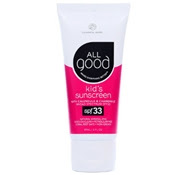 This natural SPF 33 sunscreen formula for kids includes the safest sun protection ingredient - pure non-nano zinc oxide. Slather it on those little tots and you can relax knowing that they'll be protected. everyone in the family - even pets!